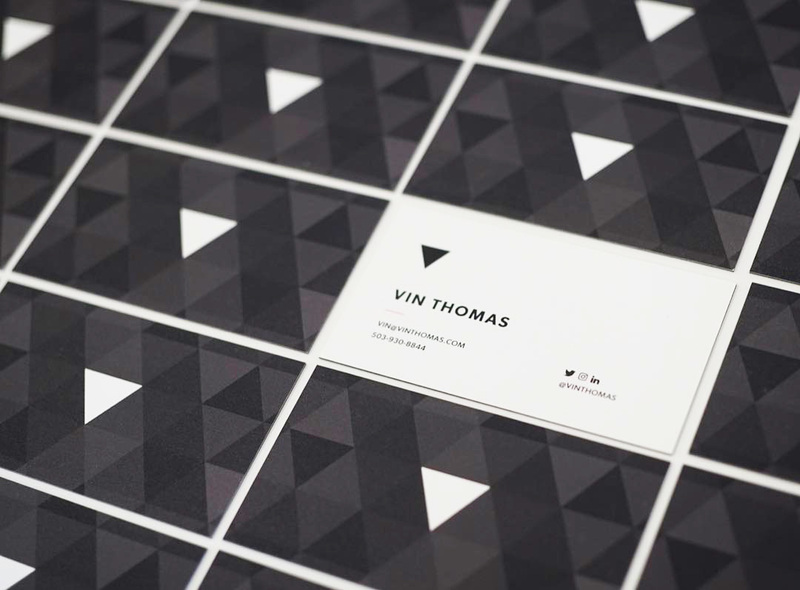 Vin Thomas designed these business cards for his self-branding as a creative entrepreneur and designer. “The triangle is significant to me in a few ways. But the primary reason I chose it was because my name is Vin, and the upside down triangle works well as an icon for V,” Vin explained. These business cards were printed on Luxe paper by Moo. Hi Jumoke, we’ll notify Vin Thomas regarding your request. Thanks!